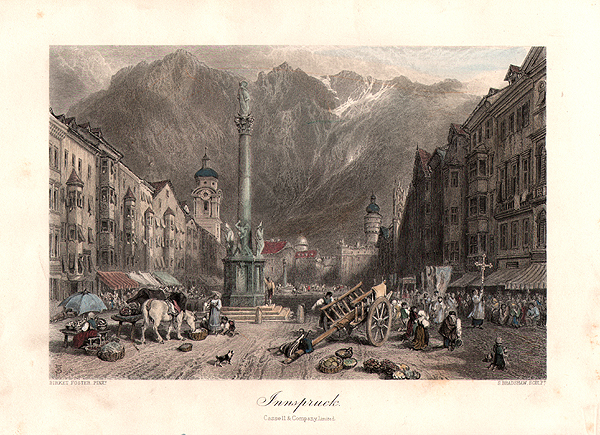 An antique lithograph by Carl Johan Billmark (1804 - 1870) . Published Imp. de Lemercier, Bernard et Cie. 55 r. de Seine. Circa 1860 with early hand colouring. 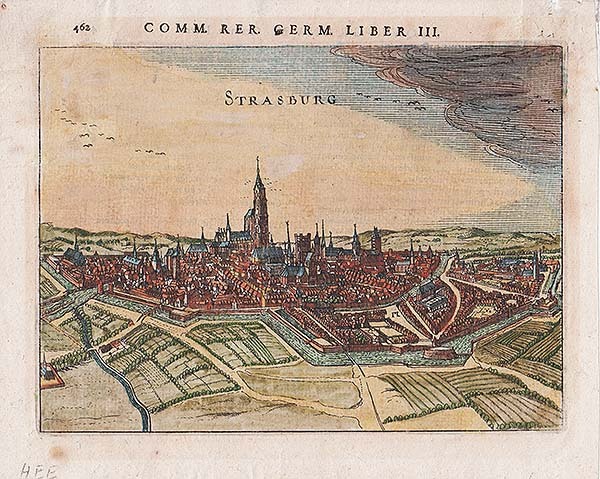 Early copper engraving by Petrus Bertius of the City of Strasburg on page 462 of Book 3 of the' "Commentariorum Rerum Germanicarum" printed 1616 in Amsterdam - The German Empire at the very beginning of the 17th century. Early hand colouring. Thinning of paper to both top corners with signs of restoration when held up to the light. Mittags - Seite der Prager Dom-Kirche. Prague Cathedral. Nach der Natur gez. v. Vincent Morstadt (18021875) / gest. Herausg: v . F. Bohmans Erben. 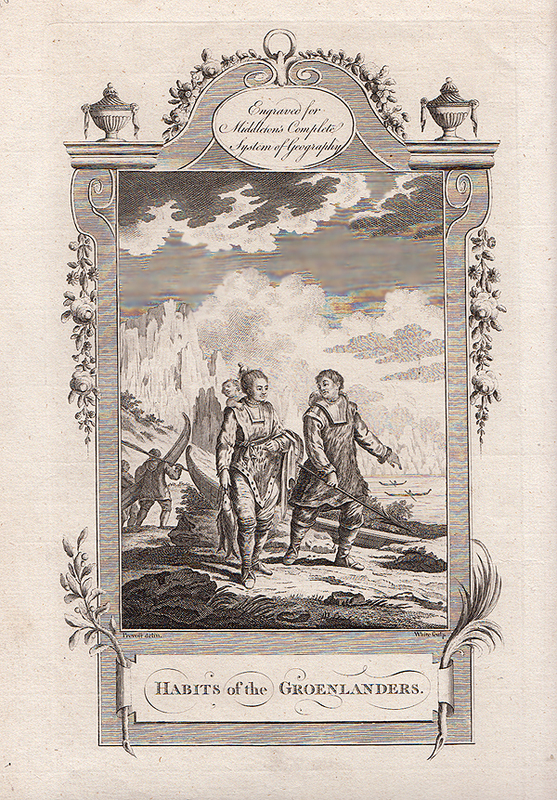 An antique engraving by G. Döbler after Vincent Morstadt. Circa 1850. Original colouring. Some surface dirt. An antique line engraving by T. Wallis after W. M. Craig. Circa 1820. Later coloured by hand. An antique line engraving by S. Bradshaw after Birket Foster. Circa 1870. Later coloured by hand. 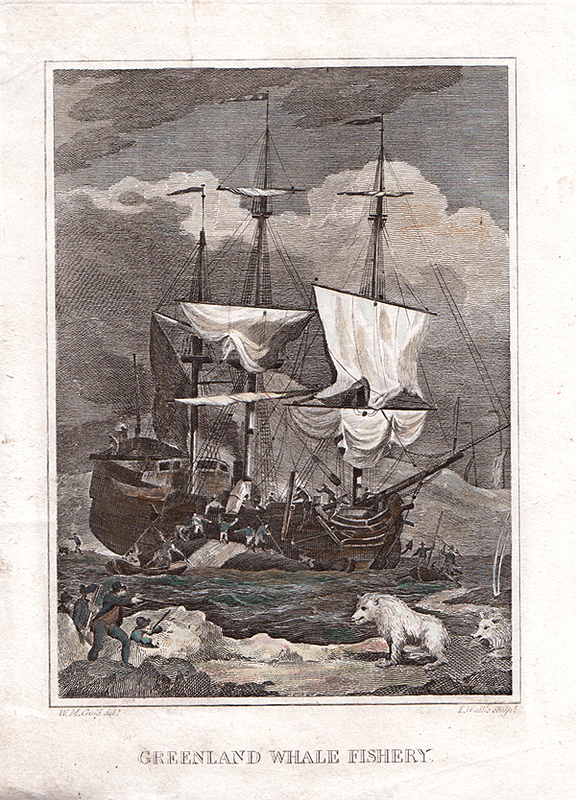 An antique line engraving published in "Engraveo fo Middleton's Complete System of Geography'. Circa 1800. 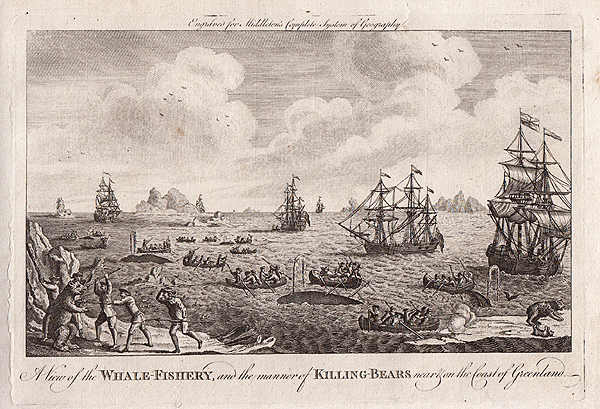 A View of the Whale Fishery and the manner of Killing Bears near and on the coast of Greenland. 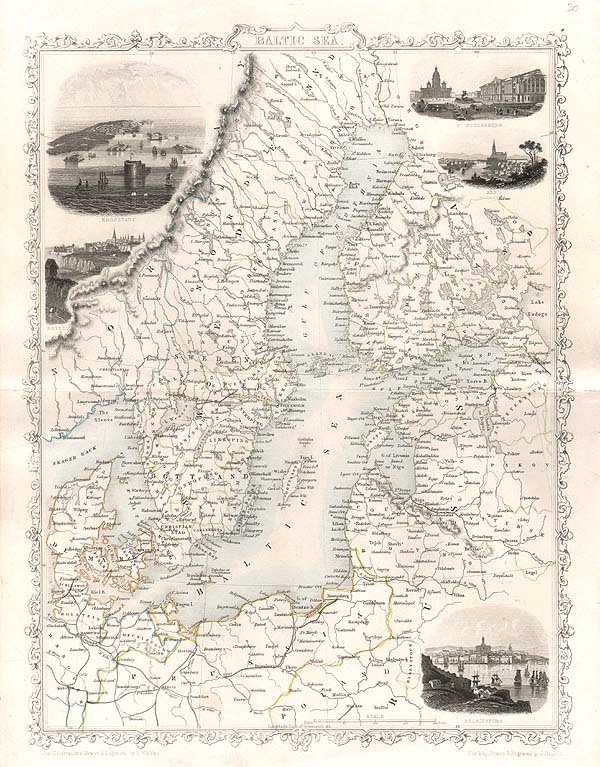 An antique decorative map of the Baltic Sea area, (Norway, Sweden, Finland. Estonia, Latvia, etc.) surrounded by an ornately engraved border. Drawn and engraved by J. Rapkin. 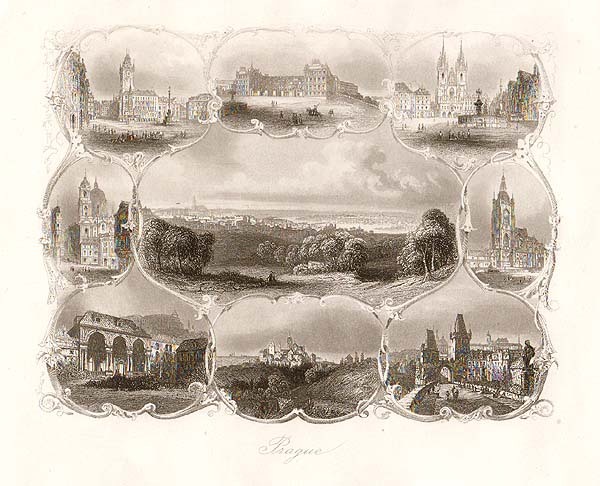 With small inset views depicting Kronstadt, St. Petersburg, Helsingfors, and Revel. Original outline hand color. 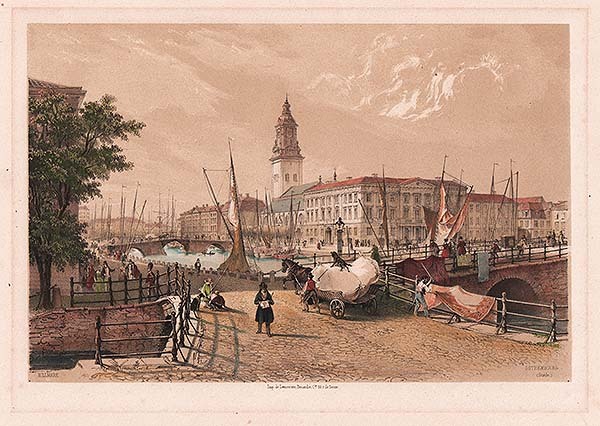 Issued London: c. 1855; by London Printing and Publishing Company. 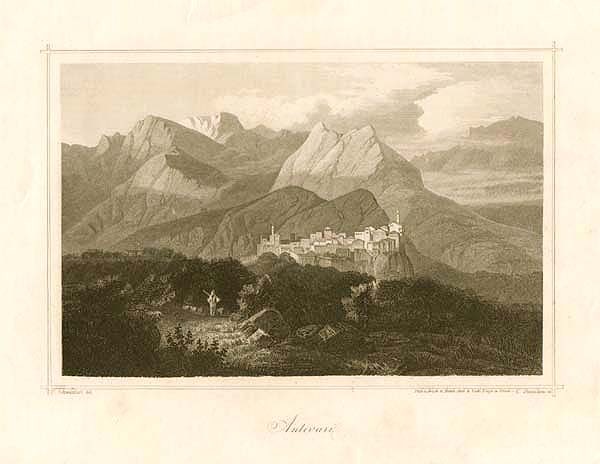 An antique line engraving of nine views of Praque. Circa 1880. 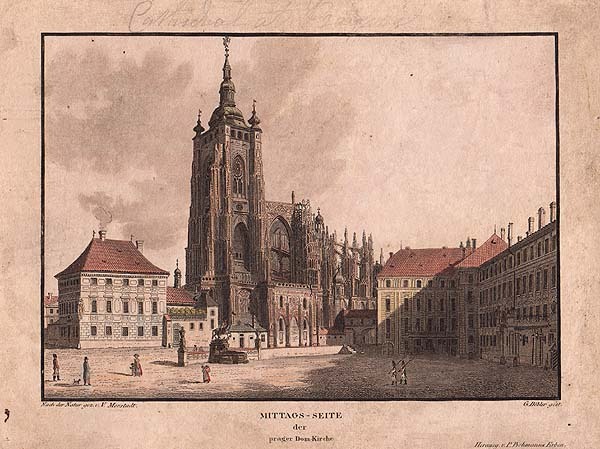 An antique line engraving by C. Steinicken after E. Schweinfurt. Circa 1840. A By - Path to Chamouni. An antique line engraving by T.A. Prior after J.W. Inchbold. Circa 1860. Prag, In the Occupation of the Allied Troops. A line engraving by D. Pound after H. Terry surrounded by a decorative border. A line engraving showing the Fall of the Rhine, in Switzerland by J.B. Allen after J.M.W. Turner. R.A. Circa 1840. Konigstein, in the occupation of the French. A line engraving by W. Wallis of Konigstein, in the occupation of the French. Circa 1855. The Crystal Palace of the Portuguese International Exhibition at Oporto. A woodcut engraving which was published in "The Illustrated London News" 18th November, 1865. The River Douro at Oporto, from the gardens of the Exhibition Palace. Odessa - The Harbour and Boulevard. A woodcut engraving which appeared in "The Illustrated London News" on 25th June, 1853. The Hradschin Palace at Prague. A woodcut engraving which appeared in "The Illustrated London News" Circa 1860. Town and Fortress of Silestria. A woodcut engraving which was published in "The Illustrated London News" on 8th July, 1856.